Tomorrow morning marks the start of just one more in the many murals I have created in and around Cuba, MO. Declared “Mural City” by the state legislature, Cuba offers viewers much more than a hospitable greeting when they arrive. The art series began years ago by the Cuba Beautification Committee. What resulted was one of the more popular sites along historic Route 66. 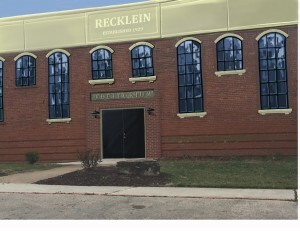 I have now been commissioned by the city of Cuba to bring a new visual life to the Recklein auditorium. This large popular building in the middle of town needs updating formats construction in the 1940′s. I will incorporate the style of Trompe o’eil illustration. (Fool the Eye) Now that the exterior has been cleaned I will repaint paned glass windows to replace the boarded up surfaces hiding the original openings. I also will paint an attractive moulding facia area around the top. 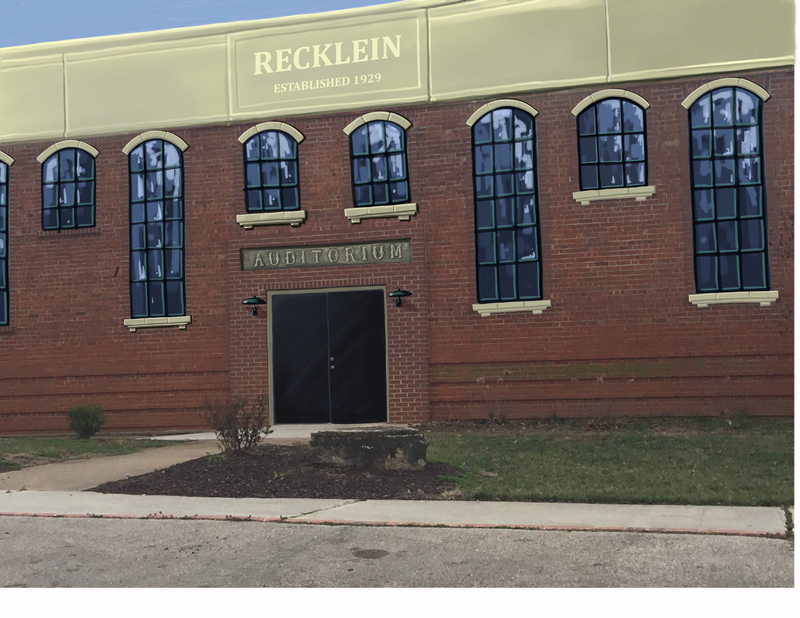 A new Recklein stone etched sign will adorn the new facade. Keim paint has been selected for the project which will last decades! 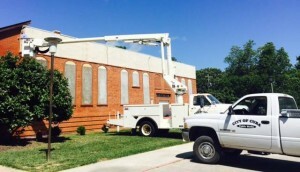 The project will take about three weeks to complete depending on weather.